Finding out what truly matters in life is what really counts. This is the philosophy that is coming out of Brooklyn, New York from an unsigned indie folk artist named Yes Gabriel. This heartstrings-pulling artist sings heartwarming songs that sound similar to the late John Denver, with his soft vocals and fluttering indie folk melodies that sound like a blue bird is happily chirping while flying around on a bright sunny day. Yes Gabriel's self-titled debut EP features five soul bearing tracks that will make listeners want to cover themselves up with a warm blanket near a campfire and roast marshmallows. The soothing journey begins with great memories flooding back through a person’s mind in the thoughtful track “Dear to Me.” This track features soulful vocals and velvety indie folk melodies that sound like a stream that is gently flowing through a green forest. This track is a peaceful tale about a man who smiling when he is thinking about all of the good things that he used to do when he was younger. The man remembers the simpler times when life gets a little bit rough on him because these are positive thoughts. Meanwhile, the soothing journey continues with a ray of hope gleaming through the dreary clouds in the optimistic track “You Got Through.” This track features weeping vocals and rustic indie folk melodies that sound like people are paddling down a river in a canoe on a chilly early spring morning. This track is a reflective tale about a man who is remembering a good friend who had faced adversity in their life. The man’s friend had the determination to fight in order to beat the obstacle that they had in front of them with dignity. Finally, the soothing journey ends with sadness looming in the gloomy track “Deep in February.” This track features moaning vocals and fizzling indie folk melodies that sound like a fresh pot of coffee is brewing. This track is a lonely tale about a tired man who is bored and wondering what to do with himself as he watches the snow fall in the dead of winter. 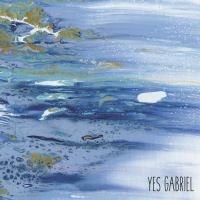 Yes Gabriel is an outstanding unsigned indie folk artist who brings out human emotion in vivid detail while keeping simplicity intact in his wonderful self-titled debut EP. This collection of music is a refreshing breeze for the human spirit. A temper tantrum is being thrown in Hoboken, New Jersey. 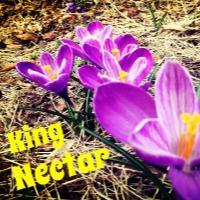 This temper tantrum is coming from an unsigned rock quintet named King Nectar. This raucous quintet breaks the sound barrier with their riveting debut CD “You’re Welcome,” which features nine tracks that will make one’s teeth rattle. This collection of music brings out the angst that is overtaking the younger generation of today by giving them the freedom to express themselves in any way they choose. The rowdy adventure begins with intense fear that is bubbling within the nervous crowd in the ominous track “Cracks.” This track features gritty vocals and blistering rock melodies that sound like an earthquake is occurring. This track is an obnoxious rant about an angry man who is tired of being treated badly by those individuals that he has tried to help get through life easier in an unfair society. The angry man is tired of being used. Meanwhile, the overwhelming anger turns into peace in the thoughtful track “Look at You Now.” This track features soulful vocals and crisp rock melodies that sound like leaves are rustling in the wind on a cool fall day. This track is a reflective tale about a man who catches up with a woman that he used to date a long time ago. The man is impressed with how well his former girlfriend has succeeded in her life and career. Finally, the rowdy adventure ends with arrogance engulfing a person in the sultry track “1st Shot.” This track features snarling vocals and thunderous rock melodies that sound like a nervous man’s heart is leaping out of his chest. This track is a sizzling tale about a man who wants to enjoy the company of a beautiful woman that he is insanely attracted to. King Nectar is an obnoxious unsigned rock quintet who sings bone jarring songs throughout “You’re Welcome.” This unapologetic quintet will not back down from the fight for person freedom. A trail of tears comes flowing out of Northern New Jersey from an unsigned blues rock artist named Katie Henry, with heard-wrenching songs about dealing with heartache and being able to find happiness in the middle of a dark tunnel. 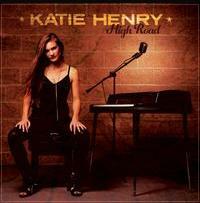 This description best describes the vibe that is being brought forth throughout Katie Henry’s ten track debut CD “High Road.” This emotionally charged collection of music sounds similar to the late Janis Joplin with gritty vocals and weeping blues rock melodies that sound like a child who is crying because he or she has misplaced a new puppy. Begin with the haunting track “Nowhere Fast,” with its sultry vocals and eerie blues rock melodies that sound like a factory whistle is howling at the end of a long day. This track is a frustrating tale about a woman who growing tired of working for an extremely low wage and not getting so much as a thank you from her ungrateful employer. Meanwhile, the tearful journey continues with a feeling of loneliness dragging on in the gloomy track “High Road.” This track features weeping vocals and rustic blues rock melodies that sound like a light rain is gently falling on a tin roof in the summertime. This track is a heartbreaking tale about a heartbroken woman who is realizing that her once loving relationship is over. Now. The heartbroken woman is moving on with her life. However, the heartbroken woman is thankful for the good times that she had with her former boyfriend. Finally, the tearful journey ends with a sense of hope shining through the cloudiness in the peaceful track “Someday.” This track features raspy vocals and sizzling blues rock melodies that sound like bacon is frying in a pan early on a Saturday morning. This track is an optimistic tale about a woman who has gone through hard times in her life. However, the determined woman refuses to give up on having positive thoughts and great people around her for support during good and bad times throughout her life. A whirlwind of pure frustration is spinning out of control in New Jersey. This whirlwind of frustration is coming from a fierce independent punk rock trio named Cyclone Static. This razor-sharp punk rock trio sings ear-piercing songs about hardships that the majority of human beings will face at some point in their lives. These hardships within humanity are heartache and boredom. This is the best way to describe this trio’s debut CD “From Scratch” which sounds similar to Green Day with its growling vocals and grinding punk rock melodies that sound like a highway that is being torn apart during a massive construction project. The storm of discontentment begins with anxiety hovering over a person in the gloomy track “Walk this Line.” This track features snarling vocals and thunderous punk rock melodies that sound like a hail storm is occurring. This track is an obnoxious rant about a man who has become fed up with the overbearing rules of everyday society. So, the stubborn man wants to live his life on his own terms due to an overwhelming feeling of disillusionment. Meanwhile, the storm of discontentment continues heartache overrunning a person in the heartbreaking track “Circles.” This track features slithering vocals and ominous punk rock melodies that sound like a grizzly bear is growling in the dense woods. This track is an angry tale about a man who is tired of being in a tumultuous with a woman who does not know what she wants from one minute to the next. This game of unpredictability is literally driving the man crazy. Finally, the storm of discontentment ends with uncertainty looming in the lonely track “Ordinary Days.” This track features moaning vocals and brooding punk rock melodies that sound like heavy rain and wind is howling on a chilly fall day. This track is a depressing tale about a disorganized man who is complaining about having a severe case of boredom. Therefore, the disorganized man has to settle for an eight-hour job in order to survive in the drudgery of everyday life. 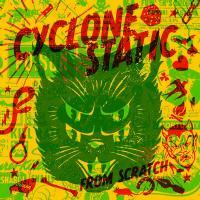 Cyclone Static is an extremely abrasive independent punk rock trio who has a knack for singing songs about doom and gloom with their loud and bombastic CD “From Scratch.” This brutal collection of music sounds like a person’s fingernails are sliding down a chalkboard. An outrageous story of self pity and arrogance comes oozing out of Athens, Georgia from a dark rock quartet named Gumshoe. This dreary group sings guilt ridden songs about self-indulgence with no regard for the rules that govern a law-abiding society. 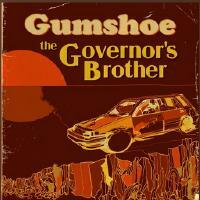 This description best describes Gumshoe’s latest murky CD “The Governor’s Brother,” which features seven torturous tracks that will make listeners squirm with discomfort while listening to this agonizing collection of music. The outrageous story of self-indulgence begins with a wolf howling at the moon in the haunting track “Barking at Shadows.” This track features moaning vocals and swampy dark rock melodies that sound like frogs croaking on their lily pads in the middle of a foggy swamp at midnight. This track is a gloomy tale about a lonely man who is sitting on the back porch of his home drinking whiskey on a balmy summer night. The lonely man is trying to drown in his sorrow. Meanwhile, the outrageous story of self-indulgence continues in the raucous track “I Am the Sun.” This track features sultry vocals and groovy dark rock melodies that sound like a nervous heartbeat. This track is a sarcastic tale about a self-absorbed man who thinks that he rules the world. The self-absorbed man will answer to no one. Finally, the outrageous story of self-indulgence ends with sadness looming in the heartbreaking track “Never Enough.” This track features raspy vocals and weeping dark rock melodies that sound like an owl is warbling on a rainy summer night. This track is a heart wrenching tale about a man who is in agony over a beautiful woman that he is hopelessly attracted to. The man will stop at nothing to try to get the attention of the beautiful woman. However, the beautiful woman is turned off by the man’s overbearing advances. Gumshoe is an odd independent dark rock quartet who sings ominous songs about living a lonely and self-indulgent lifestyle in the deep south. The quartet’s latest CD “The Governor’s Brother” appears to be a musical version of the film “Deliverance” that has gone terribly wrong. 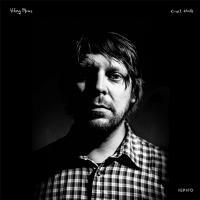 Guilt comes roaring out of Baltimore, Maryland from an independent country blues artist named Viking Moses. He sings brooding songs about loneliness and heartache while sounding similar to Joe Cocker, with his rough vocals and rugged country blues melodies that sound like a person who is trying to catch frogs in the middle of a swamp in the sweltering heat of summer. Viking Moses will release his fifth CD “Cruel Child” which features twelve abrasive tracks that will make listeners cringe as they listen to this ominous collection of music. The guilt-ridden journey begins with regret looming in the haunting track “Cruel Child.” This track features raspy vocals and eerie country blues melodies that sound like locusts are buzzing loudly on a balmy summer evening. This track is a lonely tale about a sad man who feels awful about doing the opposite of what is right in society because people around him do not believe a word that comes out of the lonely man’s mouth. The reason for these feelings is the lonely man has taken advantage of the kindness of others. Meanwhile, loneliness turns into hope in the romantic track “Pretty Little Eyes.” This track features soulful vocals and groovy country blues melodies that sound like a couple who is dancing to sweet music in a smoky bar. This track is a sultry tale about a lovesick man who is completely blown away by the presence of a beautiful woman and he wants to be with her forever. Finally, the guilt-ridden journey ends with arrogance inflating within a person’s head in the obnoxious track “Headstrong.” This track features quivering vocals and bubbling country blues melodies that sound like beer is slowly being poured into an ice-cold mug. This track is a sarcastic tale about a stubborn man who is vowing to do whatever he chooses to do with his life regardless of the consequences. A world of wonder and intrigue is coming out of Pompano Beach, Florida from an independent blues rock trio named Shaw Davis & The Black Ties. This mind- numbing blues rock trio sounds similar to Led Zeppelin with their sizzling vocals and mystical blues rock melodies that sound like a group of hippies who are having a party while tripping on acid. This trance-like blues rock trio sings steamy songs about lust with their latest CD “Tales from The West” which features nine riveting tracks that will make listeners scratch their heads and wonder what is going on? The intriguing adventure begins with the hope of a new romance blossoming in the nerve-racking track “Take My Hand.” This track features soulful vocals and groovy blues rock melodies that sound like a nervous heartbeat. This track is a sultry tale about a rowdy man who wants a beautiful woman to join him on a wild ride forever. Meanwhile, the intriguing adventure steadily rolls on in the passionate track “Fire Inside.” This track features gritty vocals and thunderous blues rock melodies that sound like a muscle car with its engine being revved loudly. This track is a raucous tale about a man who wants to live the rock and roll lifestyle forever and makes no apologies for wanting to do so. Finally, the intriguing adventure ends under a cloud of darkness in the ominous track “Atomic Groove.” This track features snarling vocals and eerie blues rock melodies that sound like ghouls are cackling wildly in the middle of a murky swamp at midnight. This track is a brooding tale about a pack of zombies who are celebrating during the apocalypse. 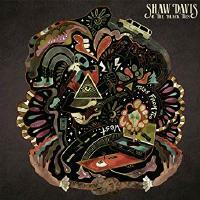 Shaw Davis & The Black Ties are an unforgiving independent blues rock trio who sings brutally honest songs about lust and exploring the unknown with their latest CD “Tales from The West.” This blistering blues rock trio will remind listeners to not be afraid to ruffle feathers once in a while. Sadness gushes out of New York City, New York from an independent classical pop artist named Michal Towber. This sensuous, yet haunting artist sings songs about heartache and loneliness with raspy vocals and breezy classical pop melodies that will make a person feel like they will need to wrap themselves up in warm blanket. 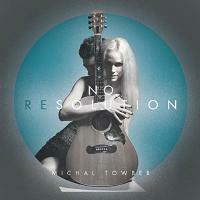 This eerie tone best describes Michal Towber’s eighth CD “No Resolution” which features fourteen tracks that will make listeners shiver. The chilling journey begins with a blizzard raging on in the lonely track “The Crash.” This track features weeping vocals and gloomy classical pop melodies that sound like a mourning dove is cooing at the break of dawn. This track is a heartbreaking tale about a woman who once had a great career and a loving relationship. However, life began to become dark and isolated. So, the woman slowly began to pull herself back up in order to live comfortably again. Meanwhile, a ray of hope is shining through the dark clouds in the peaceful track “Believer.” This track features soulful vocals and groovy classical pop melodies that sound like a couple who is happily dancing on a beach on a sultry summer evening. This track is a reflective tale about determined woman w ho has found peace in her life. Now, she has the freedom to pursue her dreams without interference from anyone. Finally, the chilling journey ends with happiness looming in the romantic track “Before Tonight.” This track features angelic vocals and floating classical pop melodies that sound like a waterfall is slowly rushing into raging river rapids. This track is a heartwarming tale about a woman who has found love once again and is truly happy. Michal Towber is a wonderful independent classical pop artist who sings vivid songs about peace and upheaval in life and how one must survive in an isolating world. This artist’s latest CD “No Resolution” will remind listeners not to hold back on anything in life even though one will face negativity. A long and spellbinding adventure comes to an end in Los Angeles, California for an intense independent alternative rock quartet named Divine Weeks. This mesmerizing quartet released their final CD “We’re All We Have” which features eleven tracks that will open the ears and minds of listeners everywhere with gritty vocals and sharp alternative rock melodies that will bring out the frustrations that many people are feeling when they are living in a greedy bureaucratic society. The harsh realities of life begin with a heavy burden weighing people down in the in the heart wrenching track “Fight for Love.” This track features weeping vocals and shimmering alternative rock melodies that sound like rocks are skipping through the cool water on a crisp fall evening. This track is a reflective tale about two people who have lost the deep connection that they once had with one another. The couple is struggling to get back on solid ground with one another. Meanwhile, the harsh realities of life continue to drag on in the lonely track “Every little Once in a While.” This track features moaning vocals and grinding alternative rock melodies that sound like a trash compacter is getting rid of the garbage that is being constantly thrown away. This track is a frustrating tale about a man who is aggravated about society becoming full of power-hungry people. However, it is healthy to keep things simple by going on a long road trip through untouched country in order to clear one’s mind. Finally, the harsh realities of life end under a cloud of uncertainty in the gloomy track “Holes.” This track features raspy vocals and slithering alternative rock melodies that sound like rattlesnakes are crawling through the tall weeds in the desert. This track is an agonizing tale about how people are continuing to be unwilling to compromise and make America what it is supposed to be which is the light of the world. 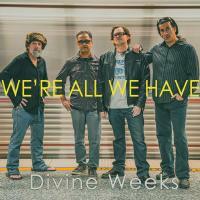 Well, the long and spellbinding adventure has ended for a wonderful independent alternative rock quartet Divine Weeks. This quartet’s final CD “We’re All We Have” sounds similar to U2 with soulful, but gritty vocals and grimy alternative rock melodies that will remind listeners to not be afraid to stand up for human dignity. Shadows of doubt and feelings of worthlessness hover over Portland, Maine. These dark feelings are coming from an alternative rock trio named Weakend Friends. This gloomy trio sings heart wrenching alternative rock songs about having to cope with emotional turmoil as well as living in a world full of negativity. 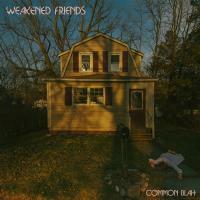 Weakend Friends released their debut CD “Common Blah” which features ten haunting tracks about living in a world that is full of nonsense and lacks logical reasoning. The tale of torment begins with nightmares occurring in a deeply troubled person’s head in the eerie track “Peel.” This track features scaping vocals and creaking alternative rock melodies that sound like a person is slowly taking paint off of an old house. This track is a painful tale about a lonely woman who has been ripped apart while being in a tumultuous CD with a man that she once loved. Now, the lonely woman is struggling to put her life back in order. Meanwhile, the tale of torment continues with selfishness overtaking a person in the agonizing track “Early.” This track features groaning vocals and gritty alternative rock melodies that sound like an empty beer bottle shattering as it hits the floor. This track is an angry tale about a woman who refuses to get out of bed after a long night of partying. This woman’s agitated state has been brought on due to her not wanting to face her fears. Finally, the tale of torment ends with angry people who are wandering throughout the city streets in the haunting track “Common Blah.” This track features slithering vocals and fizzling alternative rock melodies that sound like buckets of acid are carelessly being dumped in a peaceful forest and destroying Mother Nature. This track is an obnoxious rant about a person who is tired of living in an unpredictable world this person wants normalcy back. Weakend Friends are a promising independent alternative rock trio who sings bone rattling songs about an evil society with their debut CD “Common Blah.” This blistering collection of music describes what people on this planet have become consumed with. A series of calamities are rapidly coming out of New York by an independent psychedelic rock artist named Downpilot. This alluring, yet defiant artist sings mind blowing psychedelic rock songs that will make listeners ears tingle when hearing this melancholy CD “This Is the Sound” which features ten haunting tracks that will bring out the sadness that is plaguing today’s society. The tearful journey begins with a shining through the clouds in the romantic track “Your Supply.” This track features soothing vocals and floating psychedelic rock melodies that sound like a gentle rain is falling on a tin roof in the summertime. This track is a mellow tale about a man who is mesmerized by a beautiful woman and strongly believes that he cannot live without her. Meanwhile, the tearful journey continues with heartbreak looming in the dreary track “Thieves.” This track features moaning vocals and brooding psychedelic rock melodies that sound like a factory whistle is howling through the air on a long, cold winter day. This track is a gloomy tale about how the world has become hopeless and bleak due to bureaucratic greed. Finally, the tearful journey ends with a blanket of fear hovering over a person in the lonely track “At the Window.” This track features velvety vocals wnand rustic psychedelic rock melodies that sound like a soldier carrying a duffle bag and other equipment as it clangs together as he heads for the front lines. This track is a soul bearing tale about a soldier looking back at his girlfriend who is crying at the window as he goes off to serve his country. 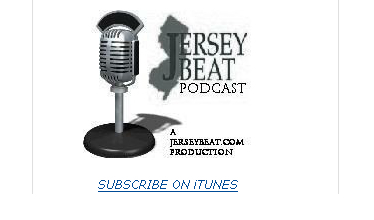 A blanket of secrecy covers the State of New Jersey. This blanket of secrecy comes from an independent folk-rock quartet named Hidden Cabins. This hypnotic folk rock quartet often sounds somewhat weary, and exhilarating at times while sounding similar to Blind Melon with their whimpering vocals and cooing folk-rock melodies that sound like doves crying on a rainy day. Hidden Cabins released their latest EP “The Hidden Cabins Band” which features five heart wrenching tracks that will take listeners on an emotional rollercoaster ride. The hypnotic ride begins with a river that is gently flowing through a beautiful canyon in the serene track “The Calming.” This track features soulful vocals and blustery folk-rock melodies that sound like a cool breeze is blowing through a beautiful canyon on a crisp fall day. This track is a peaceful tale about a person who finds solace in Mother Nature’s beauty by keeping life simple for a little while. Meanwhile, serenity turns into darkness in the gloomy track “One More Sip.” This track features moaning vocals and gritty folk-rock melodies that sound like a man’s head is about to explode after a long night of drinking. This track is an agonizing tale about a lonely man who is drowning in sorrow after the ending of a once loving relationship with his former girlfriend. Finally, the hypnotic ride ends with the hope of a new romance blossoming in the loving track “Bet It on You.” This track features groaning vocals and sultry folk-rock melodies that sound like wine is slowly being poured into two glasses. This track is a seductive tale about a lovestruck man who has fallen for a beautiful woman. The lovestruck man wants to take the beautiful woman on the ride of her life for an eternity. Hidden Cabins is a promising independent folk-rock quartet who sings emotionally intense songs with their latest EP “The Hidden Cabins Band.” This mind-numbing collection of music will keep listeners guessing as to what is around the hidden corners of life. A stiff breeze is blowing in Olympia, Washington from a teenage Celtic folk quartet named Reds Band. The winds will blow one’s senses into another stratosphere when listeners hear vivid twists brought out in old classical music. Reds Band released their self-titled CD which features ten heart wrenching instrumental tracks about having fun, acting tough, and knowing when one needs to slow down and relax. The whimsical adventure begins with happiness overflowing in the joyful track “Little Mart.” This track features fluttering Celtic folk melodies that sound like people who are chattering, eating, and laughing at the local market on a sunny Saturday afternoon. Meanwhile, happiness turns into anger in the dark track “Sporting Paddy/Temple Hill.” This track features moaning Celtic folk melodies that sound like a proud man who has literally stuck his foot in his mouth. Now, the proud man feels awful about what he has done to himself and other people around him. Finally, the whimsical adventure ends with a warm and fuzzy feeling hovering over a person in the heartwarming track “Vanjun.” This track features a soulful Celtic folk sound that will make a person feel warm and cozy in front of a cackling fireplace while living in a cold and unpredictable world. Reds Band is a great independent Celtic folk quartet who brings back the classical sounds of America, Ireland, and Sweden with a splash of youthful and modern vibrance with their self-titled CD. The howl of a lonely wolf shrills through the brisk air in Seattle, Washington. This lonely feeling best describes an unsigned dark rock quartet named Sound of the Hunter. This gloomy quartet sings haunting songs about heartbreak, loneliness, and finding joy after living under a blanket of hopelessness with the release of their latest CD “The Shadow the Light” which features seven tracks that sound like a darker version of Natalie Merchant with their quivering vocals and frigid dark rock melodies that sound like ice is cracking under one’s feet while skating on a frozen lake. The tale of regret begins with a nightmare raging on in a person’s head in the scathing track “What You Deserve.” This track features squawking vocals and thumping dark rock melodies that sound like a frightened man who is being chased by a grizzly bear This track is an ominous tale about a heartbroken woman who is telling her obnoxious boyfriend that he will pay for the way that he has mistreated her throughout their relationship because his nasty attitude will bite him later on in his life. Meanwhile, the tale of regret continues to roll on in the slippery track “The Fall.” This track features groaning vocals and slithering dark rock melodies that sound like locusts are hissing during a hot summer night. This track is a coarse tale about a woman who feels ashamed about behaving in an undesirable manner. So, the woman is vowing to make her life more pleasant for herself and other people who are around her. Finally, the tale of regret ends with a feeling of peace coming over a person in the soothing track “Arm’s Length.” This track features soulful vocals and rustic dark rock melodies that sound like heavy rain is falling in the middle of the summer. This track is a reflective tale about a woman who has a new romance in her life. The woman’s life is great. However, the weather outside of the woman’s home is awful. A swift breeze is blowing out of Catskill, New York from an unsigned Americana and folk duo named The Hudson Dusters. Jon B Woodin and Foggy Otis embrace early folk music in that they spotlight a ukulele, keeping their music airy and simple while sounding similar to Crosby, Stills, and Nash, with soulful vocals and floating melodies that sound like a hummingbird that is nervously flapping its wings for a taste of some sweet sugar water. 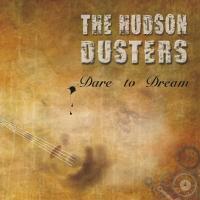 The Hudson Dusters’ debut Dare to Dream features nine passionate tracks that will remind listeners not to be afraid to take chances in life. The eye-opening journey begins with a feeling of joy coming out in the peaceful track “Straight Away.” This track features soulful vocals and rustic Americana and folk melodies that sound like water rapidly flowing through a rushing river. This track is a soothing tale about people who are willing to follow their dreams and are aware that they are going to face obstacles when they have made the decision to pursue a lifelong dream. Meanwhile, the eye-opening journey ends with a glimmer of hope shining through the gray clouds in the soul bearing track “Carry Us Home.” This track features raspy vocals and fluttering melodies that sound like a robin chirping after finding worms in the wet ground after a thunderstorm has ended. This track is an uplifting tale about how positive thoughts and actions will help people be better able to cope with various types of adversity that they will face during their lifetime. The Hudson Dusters sing heartfelt songs about trying to keep one’s life simple during hectic times. Dare to Dream will be a breath of fresh air for listeners everywhere. An ominous cloud of gloom hovers over Athens, Georgia from a punk rock duo named Eureka, California. This doom ridden duo sings dark songs about heartache and feeling like an outcast in society. Roadrunners features 13 anxiety-ridden tracks about struggling with having to conform to the rules of society while sounding similar to The Ramones with their relentless shouting and grinding punk rock melodies. The angry journey begins with steam coming out of a person’s ears on “Threads.” This track features snarling vocals and ripping punk rock melodies that sound like fabric is being torn. This track is a raucous tale about a man who is annoyed about being constantly teased for failing to conform to the rules of society. The angry journey continues with loneliness looming in the heart wrenching track “Over It.” This track features screeching vocals and gritty punk rock melodies that sound like sandpaper that is slowly being slid over a piece of wood. This track is an obnoxious rant about a confused man who claims to have gotten over a painful breakup. However, based on the man’s disturbing behavior this claim appears to be doubtful. Finally, this angry journey ends with hopelessness looming in the unhappy track “Telephone Tone,” with moaning vocals and haunting punk rock melodies that sound like a witch is cackling inside of a troubled man’s head. This track is an agonizing tale about a man who is growing tired of his girlfriend who is not answering her telephone. The man is growing suspicious of his girlfriend’s behavior. 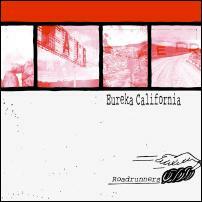 Eureka California sings depressing punk rock songs about how society is set out to stomp on the little people in the world. The raucous duo points out that those individuals who are in positions of authority are like “Roadrunners,” as their latest CD points out in vivid detail. A chilly breeze begins to blow out of Jersey City, New Jersey. It comes from heart wrenching folk pop songs from an unsigned artist named Sean Kiely. This soul bearing young man sounds similar to Emerson, Lake, and Palmer with his soulful vocals and emotionally heartbreaking lyrics that will make a person want to sit in front of a warm, cracking fireplace and drink a glass of wine. Sean Kiely's new EP “It Sure Was Good” features four tumultuous tracks that will leave listeners asking themselves the question, what if? The heartbreaking opening track “We Almost Made It” features sorrowful vocals and rustic folk pop melodies that sound like a light summertime rain is falling on a tin roof. This track is an agonizing tale about a man who deeply regrets mistreating his girlfriend who desperately tried to make him happy. However, the man’s former girlfriend finally gave up and left him because she was frustrated with living in a one-sided relationship. Finally, one can find the answer to the question, what if? in the peaceful track “Winter is Here.” This track features velvety vocals and silky, smooth folk pop melodies that sound like a cup of freshly brewed coffee is slowly being poured into a cup on a frigid winter day. It's a cozy tale about a man who loves the lighthearted feeling that winter can bring. The wintertime can bring out the happiness of children playing in the snow as well as spending quality time with friends and family. Sean Kiely is a promising who sings passionate songs about having to deal with heartbreak and being around close friends and family members in the wintertime. This artist’s latest EP “It Sure Was Good” answers the question, what if? by saying do not treat the people who one claims to care about badly. Otherwise, they will leave one unhappy person standing in the dust and it will be you. Breathtaking beauty rushes out of Lancaster, Pennsylvania. This breathtaking beauty comes from an independent orchestral folk trio named The Innocence Mission. This cool, but somewhat intense trio will awaken one’s senses with a burst of airy music that will be soothing to the ears of listeners everywhere. 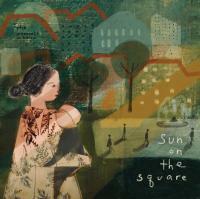 The Innocence Mission's tenth CD “Sun on the Square” features ten peaceful tracks that will make a person feel warm and fuzzy inside after drinking a cop of hot cocoa. An overwhelming feeling of sadness hovers over Cornwall, United Kingdom. These feelings are coming from an independent folk duo named We Are Muffy. “The Charcoal Pool” features thirteen heart wrenching tracks that will make listeners want to sit in a dark room and cry buckets for days. The dreary journey begins with a little bit of optimism growing in the hopeful track “Civil Service.” This track features groaning vocals and floating folk melodies that sound like a carnival is going on during a beautiful spring day. This track is a soul bearing tale about people who are muddling through life and doing the right thing according to the laws of society. Also, people must be willing to lend a helping hand to those individuals who are in need of life’s basic necessities. Meanwhile, the dreary journey continues with a blanket of darkness looming in the gloomy track “The Charcoal Pool.” This track features sorrowful vocals and brooding folk melodies that sound like whistle from a factory is squealing through the thick air. This track is an ominous tale about the hardships of living and working in an industrial city. The buildings, homes, and automobiles are covered in black soot and people have little hope for the future for themselves and their families. Finally, the dreary journey ends with sunshine gleaming through the dark clouds in the joyful track “The Map and The Light.” This track features angelic vocals and fluttering folk melodies that sound like blue birds are happily chirping while flying in the sunny sky. This track is a peaceful tale about how people can find hope in a dreadful place which will make life more positive for themselves and others around them. We Are Muffy is an ominous independent folk duo who sings sad songs about living are hard working-class life which can mean a bleak future. 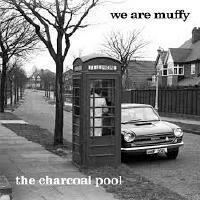 However, according to the duo’s latest CD “The Charcoal Pool.” Life will only be what people will choose to make of it. 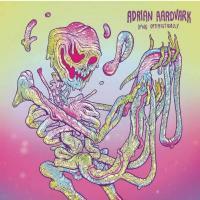 A huge pity party rolls on out of Plattsburgh, New York from an independent rock quartet named Adrian Aardvark. This bleak rock quartet paints a dark picture of the world around them with “Dying Optimistically” featuring eleven hopeless tracks that sound similar to Radiohead with their warbling vocals and scraping rock melodies that sound like a person’s fingernails are slowly sliding down a chalkboard. The hopeless journey begins with tears falling in the heartbreaking track “Just Us.” This track features moaning vocals and gritty rock melodies that sound like an angry bear has been abruptly awakened from hibernation. This track is an unamusing tale about a once loving couple who cannot get along with one another or anyone else anymore. Meanwhile, the hopeless journey continues with wild dreams running through a person’s head in the obnoxious track “Little Girl.” This track features squawking vocals and groovy rock melodies that sound like a group of hippies are having a party. This track is a raucous tale about a man who is panting over a beautiful woman. However, the beautiful woman is not impressed with the annoying man’s advances. Finally, the hopeless journey ends under a cloud of doom in the gloomy track “Misery Shaker.” This track features groaning vocals and gurgling rock melodies that sound like vodka is slowly being poured into a glass. This track is a depressing tale about a lonely man who is drowning in a pool of sorrow with the help of his favorite beverage. The lonely man is guilt ridden over is past mistakes. Adrian Aardvark is a pessimistic independent rock quartet who sings negative songs about how evil the world can be. The quartet’s latest CD “Dying Optimistically” will let listeners know that heaven will be a pleasant place after the greed that is plaguing humanity completely destroys Planet Earth. A state of confusion is roaring out of Brooklyn, New York from an independent rock artist named Jesse Ainslie. This haunting artist sings somewhat dreary songs about trying to find happiness in an unforgiving world while sounding similar to Don Henley with his soulful vocals and light rock melodies that sound like a cool breeze is blowing on a rainy day. 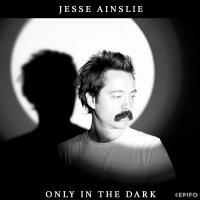 Jesse Ainslie released his latest CD “Only in The Dark” featuring eight heart wrenching tracks that will require listeners to carry a large supply of tissues while listening to this fairly ominous collection of music. The agonizing journey begins with a glimmer of hope shining through the clouds in the romantic track “Real Good Night.” This track features soulful vocals and sultry rock melodies that sound like a pot of boiling water that is about to overflow onto a hot stove. This track is a sizzling tale about a man who has had a peaceful and sensual night with a beautiful woman with no regrets. Meanwhile, the agonizing journey continues with pessimism running rampant in the gloomy track “Down in the Well.” This track features raspy vocals and weeping rock melodies that sound like kittens were left out in the pouring rain. This track is a dark tale about a lonely man who is trapped and is slowly sliding down into a black hole due to his careless lifestyle. The lonely man cold and alone under a blanket of sadness. Finally, the agonizing journey ends with uncertainty looming in the fearful track “Things to Come.” This track features rustic vocals and eerie rock melodies that sound like a pack of wolves are howling in the desert at night. This track is a depressing tale about a man who sees a chaotic world coming into view because people are having to watch out for themselves due to greed from those individuals who are in positions of authority. Jesse Ainslie is a promising independent rock artist who sings passionate songs about the growing tension that is building in a chaotic world which can affect people’s thoughts and emotions. This artist’s latest CD “Only in The Dark” will have listeners screaming for a little bit of daylight. Winds of change are fiercely blowing out of Black Mesa, Arizona from an independent Navajo punk rock duo named Sihasin. This mesmerizing will stand up for many individuals who are facing issues with racism, sexism, and economic inequality. 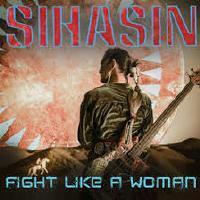 Sihasin released their second CD “Fight Like a Woman” featuring fourteen earth shattering songs that are destined to change the world forever. A breath of fresh air begins to blow in the promising track “Shine.” This track features soulful vocals and groovy punk rock melodies that sound like a group of happy people who are dancing to loud music at a block party on a hot summer day. This track is an uplifting tale about showing people who are less fortunate how to use their talents in a positive way in a tumultuous world so that the world can become a more peaceful place for everyone to live in. Meanwhile, a breath of fresh air continues to blow in the romantic track “See You.” This track features gritty vocals and sultry punk rock melodies that sound like two hearts are pounding wildly. This track is a sensual tale about a couple who is vowing to be together regardless of what the other people around them think about their relationship. Finally, the breath of fresh air blows out with clouds of darkness hovering over a person in the gloomy track “Drive.” This track features groaning vocals and ominous punk rock melodies that sound like an angry wolf is snarling through the cool desert at night searching for its prey. This track is a depressing tale about a frustrated person who is tired of the constant stress of daily life. So, the frustrated person is going on a long head clearing road trip. Sihasin is an awesome independent Navajo punk rock duo who sings ear opening and honest songs about the social injustices that are taking over society at an alarming rate. The duo’s latest CD “Fight Like a Woman” will remind listeners everywhere to fight like hell for social equality and peace on earth. A colorful tapestry is being brought out for the world to hear in Chelsea, New York City. This colorful tapestry of classical music comes from a wonderful independent singer and cellist named Serena Jost. This sensual musician brings forth darkness and light with her latest CD “Up to The Sky” featuring ten picturesque tracks that will awaken the human spirit. The picturesque journey begins with storm clouds brewing in the heartbreaking track “Window.” This track features weeping vocals and light whispers from a cello that sound like a kitten softly purring for warm milk. This track is a sad tale about a woman who is watching the man she loves slowly walk away from her while raindrops are lightly falling on the window. Meanwhile. The picturesque journey continues with the darkness clearing in the joyful track “Happiness.” This track features angelic vocals and fluttering melodies from a cello that sound like robins are singing on a beautiful spring day. This track is a peaceful tale about a woman who is at ease within herself and her surroundings with absolutely no worries. Finally, the picturesque journey ends with a cool, gentle breeze blowing in the mellow track “Red Door.” This track features soulful vocals and thumping melodies from a cello that sound like a happy person’s heart beating. This track is a soothing tale about how warm and comfortable a person will feel when they are invited into a home with a red door. The red color represents love and peace in this instance. Serena Jost is a fantastic independent cellist and singer who presents beautiful classical music with different pictures of mood and feelings that will change at every turn. 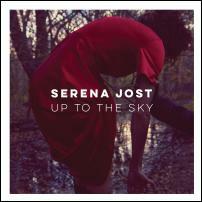 This artist’s latest CD “Up to The Sky” will make fans of classical music extremely proud. A party is rolling on at a frenzied pace out of Athens, Georgia. This party is starting because of a rowdy quintet named The Shut-Ups. This obnoxious alternative rock quintet sings fist pumping songs about living one’s life with reckless abandon while sounding like a rougher version of Crowded House with their soulful vocals and gurgling alternative rock melodies that sound like a soda bottle is slowly being opened on a warm summer day. The Shut-Ups released their latest CD “Just Another Generation” featuring eleven hard hitting tracks that will make the hair stand up on the back of one’s neck. The frenzied adventure begins with the hope of a new romance blooming in the edgy track “Don’t Get Me Started.” This track features soulful vocals and groovy alternative rock melodies that sound like a nervous heartbeat. This track is a raucous tale about a man who has fallen hopelessly in love with a beautiful woman. However, the beautiful woman is playing hard to get. Meanwhile, the frenzied adventure continues with the hope of a new romance becoming a fit of rage in the angry track “This Band Is Gonna Break Up.” This track features snarling vocals and grinding alternative rock melodies that sound like a grizzly bear is growling while hunting for food in the woods. This track is an obnoxious rant about a load of discontent that is ripping a promising new rock band apart. Finally, the frenzied adventure ends ray of sunshine gleaming through the dark clouds in the peaceful track “They Know.” This track features soft, velvety vocals and bubbling alternative rock melodies that sound like ocean waves are gently crashing onto a beach. This track is a lighthearted tale about a couple who is very much in love with each other and their hometown knows about their relationship. The Shut-Ups are a great independent alternative rock quintet who sings thundering songs about being young and acting like the warm summer days will never end. The quintet’s latest CD “Just Another Generation” will be an anthem for the young people who are trying to find their place in the world. Life is unpredictable. This is the point that is being made from an independent pop country duo out of Franklin, Tennessee named Pretty Gritty. Pretty Gritty sings heart wrenching songs bout heartache and finding romance while sounding similar to Little Big Town with their soulful vocals and crisp country pop melodies that sound like leaves are falling from the trees on a blustery fall day. This sense tingling duo released their latest CD “Seven Year Itch” featuring twelve haunting tracks that will take listeners on an emotional rollercoaster ride. The long and winding road called reality begins with frustration hovering over a person in the tearful track “Coming Loose.” This track features sorrowful vocals and weeping country pop melodies that sound like a woman who is sobbing while sitting alone in a room. This track is a dreary tale about how life seems to get out of control while one is attempting to balance life and work. Meanwhile, the long, and winding road called reality seems a little bit brighter in the peaceful track “Every Road.” This track features soothing vocals and fluttering country pop melodies that sound like rain is lightly falling on a window sill on a cloudy and cool spring day. This track is a heartwarming tale about a couple who is happy being around each other especially when life gets rough because emotional support is the best medicine against the stress of daily life. Finally, the long and winding road called reality ends under a cloud of suspicion in the scathing track “The Town.” This track features whimpering vocals and grumbling country pop melodies that sound like a midsummer thunderstorm is brewing. This track is a dark tale about a couple whose relationship is broken and everyone around them is chattering about their misfortune. The sad woman feels lonely and hurt by her controlling husband and desperately wants her freedom. 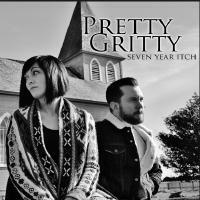 Pretty Gritty is a wonderful independent country pop duo who sings emotionally intense songs about the tumultuous road of life and the unpredictability of romance. This amazing duo’s latest CD “Seven Year Itch” will give listeners the truth about life instead of a pack of lies. A blanket of misery covers Clifton, New Jersey. This blanket of misery is coming from an unsigned acoustic and protest punk artist named Joe Billy. This gloomy artist has the perfect dreary punk attitude for the relentless aggravation that people in today’s society face on a daily basis. 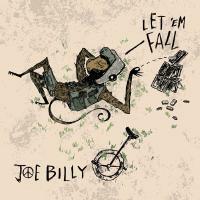 Joe Billy released his latest CD “Let ‘E m Fall” features ten obnoxious tracks that will make those individuals who are in positions of authority tremble with fear. A person’s teeth will begin to chatter in the lonely track “Sorry, Mom.” This track features gritty vocals and weeping acoustic and protest punk melodies that sound like a child who is sobbing because he could not stay out late on a school night. This track is a depressing tale about a man who is apologizing to his mother for acting like a fool and being disrespectful. However, man wants to live life on his own terms. Meanwhile, a person’s teeth will continue to chatter in the chilling track “The Fly You Ignore.” This track features moaning vocals s and snarling acoustic and protest punk melodies that sound like bees that are swarming around a huge pile of garbage that has been left unattended at a campsite. This track is an agonizing tale about a sad man who feels like an outcast in society because his beliefs are not of the mainstream of society. Finally, a person’s teeth will chatter fiercely when they hear the obnoxious track “Smash Your Television.” This track features and s soulful vocals and rumpled acoustic and protest punk melodies that sound like bags of aluminum cans are banging together. This track is a sarcastic tale about how the political scene seems to bring out the worst in people rather than making things more tolerable for people. Therefore, no one watch the constant craziness that is on television. Joe Billy is a great unsigned acoustic and protest punk artist who sings hair raising songs about the idiocy that is running rampant in society. This brilliant artist has a punk sound like no other and will let listeners know that the bureaucrats in society will “Let ‘Em Fall.” This means that this planet will cease to exist if the reckless behavior continues. A long story of lies and lust oozes out of Portland, Oregon from an independent pop, rock, and blues solo artist named Steve Barton. This brilliant solo artist sings heart pumping songs that will make a person break out into a cold sweat while listening to the seventh CD “Tall Tales and Alibis” which features thirty- seven tracks that will take listeners on an out of control train ride. Steve Barton sounds similar to the late Roy Orbison and Johnny Cash with his harsh vocals and stone, cold pop rock melodies that sound like ice is cracking underneath a person’s feet as they try to skate on a lake as it begins to thaw after a long, cold winter. The sordid adventure begins with uncertainty looming in the dreary track “How Can I Believe” (Album One). This track features gritty vocals and rustic pop rock melodies that sound like a frog is croaking on a lily pad in the middle of a foggy pond. This track is a pessimistic tale about a lonely man who is struggling with both the spiritual and the realistic side of life because the lonely man is tired of being deceived. Meanwhile, the sordid adventure continues with uncertainty turning into passion in the sleazy track “Haunt Me Tonight” (Album Two). This track features snarling vocals and sultry blues melodies that sound like a nervous heartbeat. This track is a sizzling tale about a man who wants his beautiful girlfriend to fulfill his inner fantasies. Finally, the sordid adventure ends with a sense of hope blossoming in the romantic track “Now That We Have Tomorrow” (Album Three). This track features soulful vocals and groovy pop rock melodies that sound like people who are happily walking along the beach with a light breeze blowing on a summer day. This track is a heartwarming tale about a couple whose romance is in full bloom. The couple is looking forward to their future together. Steve Barton is a fantastic independent pop, rock, and blues solo artist whose infectious groove will make listeners become excited. 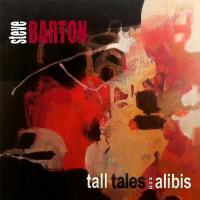 Steve Barton’s latest CD “Tall Tales and Alibis” is a genuine musical masterpiece. A blanket of agony is covering Cortlandt Manor, New York from an unsigned country pop quartet named Greg Jacquin Band. This tear- jerking country pop quartet sings sad songs about feeling abandoned in a fast-paced world. 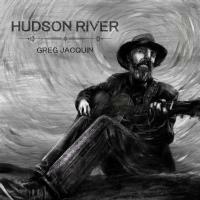 Greg Jacquin Band released their latest CD “Hudson River” featuring six tumultuous tracks about dealing with an overwhelming amount of heartbreak while sounding similar to Rob Thomas with their warbling, sorrowful vocals and rustic country pop melodies that sound like a waterfall rushing through a fast-moving river. The soul bearing journey begins with a cold breeze blowing in the heart wrenching track “The Station.” This track features moaning vocals and dreary country pop melodies that sound like light rain is falling. This track is lonely tale about a man who is sorely missing his girlfriend and he cannot wait to see her again. Meanwhile, the soul bearing journey continues with a sense of optimism in the hopeful track “Scratches & Bridges.” This track features gritty vocals and floating country pop melodies that sound like children who are happily blowing bubbles on a warm summer day. This track is a reflective tale about a man who is grateful to have hope in his life despite all of the hardships that he has had to go through. Finally, the soul bearing journey ends with heartache looming in the gloomy track “Hopeless Entrance.” This track features weeping vocals and gurgling country pop melodies that sound like a faucet is leaking. This track is a sad tale about a man who had his heart broken by his former girlfriend and the man is vowing to move on with his life. The man will make sure that he will not be taken advantage of the next time around. A ballad of broken dreams is coming out of Los Angeles, California from an independent folk, country, and blues singer-songwriter named Lisa Mednick Powell. This mind- numbing collection of ten tear jerking tracks will be released as the artist’s third CD “Blue Book.” La Mednick Powell speaks up about the difficulties that women face in the workforce and in their daily lives in search of equality. The journey for social equality begins with the heartbreaking track “Smoke Over Carolina.” This track features weeping vocals and rustic country and blues melodies that sound like sizzling heat is coming out of smoke stacks at a factory. This track is an agonizing tale about a horrible fire at a textile factory. This tragedy brought attention to the need for stricter safety regulations for female workers in America. Meanwhile, the agony continues as the battle for social equality rages on in the haunting track “Cold Coffee.” This track features soulful vocals and fluttering folk melodies that sound like teardrops are falling. This track is a somewhat sarcastic tale a tired woman who is overwhelmed with keeping a paycheck and taking care of the household needs. Therefore, the tired woman has to settle for a cold cup of coffee in order to keep up with the frantic pace of her daily life. Finally, the journey for social equality ends under a blanket of disillusionment in the ominous track “Crow.” This track features groaning vocals and eerie folk melodies that sound like a warm breeze I s blowing dust around in an empty cornfield. This track is a dark tale about a huge black bird that is hovering over abandoned farmland during a severe drought in the summertime. A sorrowful adventure begins in New York City from an eerie independent electropunk duo named This Wilderness. This gloomy duo sings dark songs about loneliness and heartache while sounding similar to Alice In Chains with their gritty vocals and bone chilling electropunk melodies that will make a person feel like they will be afraid to go to sleep at night. This Wilderness will release their debut CD “Sorry About Tomorrow” featuring ten heart wrenching tracks about intense emotional turmoil. This icy adventure begins with fear taking over in a person’s mind in the frightening track “Lonely Woman.” This track features slithering vocals and haunting electropunk melodies that sound like a witch is cackling in the dense woods. 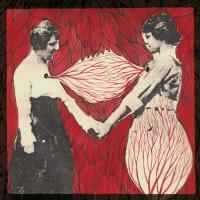 This track is an eerie tale about a man who is being pursued by a strange woman. The man feels uncomfortable around this strange woman. Meanwhile, the icy adventure continues with feeling of guilt hanging over a person in the lonely track “Well.” This track features growling vocals and thumping electropunk melodies that sound like a nervous heartbeat. This track is a dreary tale about a troubled man who is living down in a damp and dark hole due to the indiscretions from his past. This Wilderness is a spooky independent electropunk duo who sings chilling songs about having to live in an unforgiving society. This duo’s debut CD “Sorry About Tomorrow” will make listeners want to jump out of their skin while listening to this teeth chattering collection of music. The big city of the west is buried under a cloud of mystery. This dreary journey begins in Los Angeles, California with an independent seven piece pop rock band named Bodies of Water. This haunting pop rock band sings chilling songs about what the world could possibly look like when the apocalypse occurs. Bodies of Water's fourth CD Spear in the City" features 11 eerie tracks about doom and gloom sounding similar to the late David Bowie with moaning vocals and icy pop rock melodies that will make one's hair stand on end. The depressing journey begins with heartbreak looming in the sad track "Dark Water." This track features groaning vocals and thumping pop rock melodies that sound like Godzilla is angrily stomping through the city streets at night and tearing down buildings. This track is an agonizing tale about a once loving couple whose relationship has ended due to stubbornness and the inability to compromise with one another. Meanwhile, the depressing journey continues with loneliness looming in the frightening track "Spear in the City." This track features sorrowful vocals and weeping pop rock melodies that sound like a child who has been crying after being awakened by a nightmare. This track is a heart wrenching tale about how a once thriving city became a crime ridden and violent city due to an epidemic of corruption. Finally, the album ends with a glimmer of hope shining through in the promising track "Echoes." This track features soulful vocals and groovy pop rock melodies that sound like people who are happily dancing in the streets during a block party in the summer. This track is an exciting tale about people who are exploring the possibility of other life forms living throughout outer space. Bodies of Water is a fantastic independent seven piece pop rock band who writes sense tingling pop rock music about an intense fear of the unknown with Spear in the City. A cloud of discontent hovers over Flemington, New Jersey. This cloud of discontent is coming from an independent rockabilly quartet named Jenny and The Felines. This fierce rockabilly quartet sings gloomy songs about hard living in a working class town. Jenny and The Felines are a rougher version of The Go Go's with their snarling vocals and obnoxious rockabilly melodies that sound like two cats are fighting in an alley at midnight. Jenny and The Felines released their latest CD "Don't Judge Me" featuring nine bitter tracks about being wronged throughout one's life. The bitter journey begins with hatred bubbling over in the spiteful track "I Hate This Town." This track features moaning vocals and gurgling rockabilly melodies that sound like black tar is slowly being poured into huge cracks on a heavily traveled road. This track is a dark tale about a person who is fed up with being underpaid and living a hard life with no hope in sight. Meanwhile, the bitter journey continues with low self esteem running rampant in the scathing track "Come On, Little Cougar." This track features groaning vocals and gritty rockabilly melodies that sound like the devil is laughing inside of a person's head. This track is a sultry tale about an older woman who is actively pursuing the affections of a younger man. Finally, the bitter journey ends with loneliness looming in the sad track "You Don't Love Me." This track features slithering vocals and thunderous rockabilly melodies that sound like a thunderstorm is occurring with a tornado developing with this thunderstorm. This track is a heartbreaking tale about a woman that is realizing that her boyfriend is no longer in love with her. 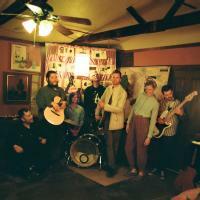 Jenny and The Felines are a great independent rockabilly quartet who sings harsh songs about living a working class life and the emotional turmoil that one will go through on a daily basis. The quartet's latest CD "Don't Judge Me" will remind listeners that passing judgement on another person without knowing who they truly are is very hurtful. Is life full of half truths? The answer to this question is, yes. Life is full of half truths according to an unsigned indie rock artist out of New York City, New York named Jake Tavill. This brilliant young songwriter has a remarkable grasp of the realities of daily life and human emotion. Jake Tavill sounds similar to Simply Red with his quivering vocals and pulsating indie rock beats that will make one's heart skip a beat with his second CD "Twisted Ideology" featuring seven soul bearing tracks that will let listeners know that the game of life is unpredictable. The bumpy ride begins with a ray of hope shining through in the sizzling track "You're Gonna Love Me." This track features soulful vocals and sultry rock melodies that sound like a spicy dish is being cooked up so that a couple can have a dinner for two under the stars at night. This track is a groovy tale about a man who is chasing a beautiful woman. The desperate man is convinced that the beautiful woman will love him forever. Meanwhile, the bumpy ride continues with hope turning into shadows of doubt in the anxious track "One Day Soon." This track features raspy vocals and weeping rock melodies that sound like a robin is sadly chirping because it cannot find any worms to eat. This track is a heart wrenching tale about a couple who is having a difficult time expressing their true feelings for one another. Finally, the bumpy ride ends with discontent looming in the gloomy track "Gold." This track features icy vocals and sizzling rock melodies that sound like hot blacktop is slowly being poured down a desolate country road. This track is a scathing track about how people will say that they are honest. However, people can be dishonest and have a tendency to stab one another in the back. Jake Tavill is a promising unsigned indie rock artist who sings honest songs about real human emotion and how it can effect daily life. This artist's second CD "Twisted Ideology" will remind listeners that the world is a strange place to live in. Unimaginable heartache oozes out of New Orleans, Louisiana from an independent nine piece blues and rock band named King James & The Special Men. This rowdy blues and rock band sings heart wrenching songs about how to deal with heartache while sounding similar to Fats Domino with their moaning vocals and weeping blues rock melodies that sound like a child who is sobbing after having a toy taken away from them due to bad behavior. King James & The Special Men will release their debut CD "Act Like You Know" featuring six gut wrenching tracks that will surely tug at the heart strings of listeners everywhere. The dreary journey begins with a gentle rain falling in the joyful track "Baby Girl." This track features raspy vocals and rustic blues rock melodies that sound like frog is croaking on a lily pad in the middle of a murky swamp. This track is a soul bearing tale about a man who is declaring his undying love for a beautiful woman. Meanwhile, joy turns into discontent in the anxiety ridden track "Tell Me(What You Want Me To Do)." This track features soulful vocals and sorrowful blues rock melodies that sound like a seagull is hovering over the Gulf of Mexico trying to find fish to eat. This track is a heartbreaking tale about a couple who is struggling to find peace in their tumultuous relationship. Finally, heartache adds to the hardships in the emotionally draining track "9th Ward Blues." This track features gritty vocals and sultry blues rock melodies that sound like gumbo is being stirred around in a huge iron pot at a summer party. This track is a raucous tale about trying to have a great time and earn an honest living in a poor and working class section of what is known as "The Big Easy." King James & The Special Men are a wonderful independent nine piece blues and rock band who sing brutally honest songs about heartache and dealing with hardships in one's life. The band's debut CD "Act Like You Know" will remind listeners that it is okay to let off some steam once in a while. Is life a scream? The answer to this question is, yes. The journey through life is a scream according to an independent pop rock solo artist who resides in the United Kingdom named Jupiter In Velvet. This mind numbing pop rock artist sounds similar to Rush with trance-like and galactic sounding pop rock instrumentation that will leave listeners scratching their heads for years to come. Jupiter In Velvet released his latest CD "In2 the Arms of Love" featuring ten scathing tracks about living by the rules that are written and governed by a civil society. The risky adventure begins with one's nose held high in the air in the rowdy track "I'm So Ready." This track features gritty vocals and thunderous pop rock melodies that sound like a NASCAR race is about to begin. This track is an obnoxious tale about a rebellious man who wants to have fun and live his life with reckless abandon. The rebellious man does agree with the rules that are written down by the status quo. Meanwhile, the risky adventure continues with electricity flowing in the obnoxious track "Supercharged." This track features moaning vocals and rattling pop rock melodies that sound like a rattlesnake that is hissing as it slithers through the tall grass. This track is a sultry tale about a man who is deeply in love with a beautiful woman. The love struck man feels energized and nothing bad is ever going to happen to the couple. Finally, the risky adventure ends with a wild party rolling on in the raucous track "Bang On." This track features soulful vocals and sultry pop rock melodies that sound like fine win is slowly being poured into a glass. This track is a gritty tale about a restless man who wants to party and hang around women forever. Jupiter In Velvet is a great independent pop rock solo artist who sings raucous songs about living one's life with no regard for the rules that govern society. This artist's latest CD "In2 the Arms of Love" will remind listeners to have fun in one's life because everything can be taken away in an instant. A state of confusion hovers over Pittsburgh, Pennsylvania. This state of confusion is coming from an independent pop quintet named Stutter Steps. The quintet's latest EP "Floored" features six heart wrenching tracks that deal with regret, intense loneliness, and a hope for a new romance. Stutter steps sounds similar to The Cure with their mumbling vocals and gloomy pop melodies that sound like a moody teenager who is upset all of the time. The aggravating journey begins with a person's head literally being in a fog of anger in the painful track "Floored." This track features moaning vocals and fluttering pop melodies that sound like a flock of angry crows cawing on a hot and stormy day. This track is an agonizing tale about a person who s waking up on the floor after a long night of partying. The confused person would have preferred not knowing what actually happened because of the foolish mistakes that the confused person has made. Meanwhile, the aggravating journey continues with sadness looming in the gloomy track "Submarine." This track features soulful vocals and gurgling pop melodies that sound like a group of divers who are snorkeling in the ocean. This track is a heartbreaking tale about a lonely man who has been deeply hurt by a woman that he once loved. Now, the lonely man feels like he is drowning in his own sorrow. Finally, the aggravating journey ends with excitement growing in the joyful track "Weak Restraint." This track features gritty vocals and groovy pop melodies that sound like a couple who is happily dancing at a nightclub. This track is an uplifting tale about a man who is filled with optimism about the hope of a new romance. Stutter Steps is a great independent pop quartet who writes emotionally intense songs about the discontent that plagues humanity. The quintet's latest EP "Floored" will remind listeners to watch around every corner because trouble is lurking everywhere. Are they great? The answer to this question is, yes. The great big roar that is coming out of Seattle, Washington is from an independent pop rock trio named The Shaken Growlers. This high octane pop rock trio sings obnoxious songs about living the good life with no apologies whatsoever. This statement best describes the in your face attitude that is brought out in the trio's self titled CD which features thirteen heart pounding pop rock tracks that will make listeners believe that they will live forever. The high speed adventure begins with a lion roaring in the thunderous track "Weekly Specials." This track features snarling vocals and grinding pop rock melodies that sound like a lion is fiercely fighting to reclaim his territory in the unforgiving jungle. 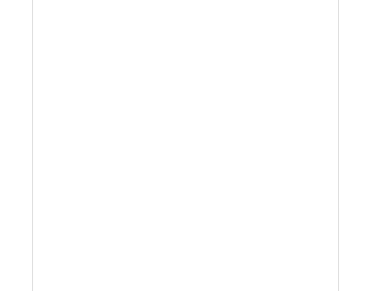 This track is a raucous tale about a man who really wants to party with reckless abandon after a long week of work. Meanwhile, the high speed adventure continues as angst grows in the agonizing track "Hoarder." This track features gritty vocals and moaning pop rock melodies that sound like a mourning dove cooing on a dreary day. This track is a sad tale about a lonely man who refuses to let the mistakes of his past go. So, the lonely man feels like he is living in a constant nightmare. Finally, the high speed adventure ends with happiness blossoming in the joyful track "Life Supply." This track features soulful vocals and groovy pop rock melodies that sound like people who are happily dancing to a soothing beat while wedding reception. This track is an amusing tale about a couple who is happy to be filled with a lifetime of romance. The Shaken Growlers are a great independent pop rock trio who are not afraid to live life to the fullest and have a great time doing just that. The trio's self titled CD will remind listeners that life is full of unexpected twists and turns. A story for the ages begins in Seattle, Washington from an independent pop rock artist named Jim of Seattle. This enchanting pop rock artist sings quirky songs about how people can change their behavior when they are faced with stressful situations in life. Jim of Seattle sounds similar to Berlin and Queen with his haunting vocal chanting and fluttering pop rock melodies that sound like a group of children who are thoroughly enjoying the circus. Jim of Seattle will release his latest CD "Both The Planet Frank (Starring The Elders) and The Chet Lambert Show" featuring seventeen playful pop rock tracks that will make listeners look at life in a more positive way even when life seems unbearable at times. The enchanting adventure begins with a trip through outer space in the galactic sounding track "We are The Elders." This track features chanting vocal harmonies and brooding pop rock melodies that sound like aliens are looking down at Planet Earth and laughing at humanity. This track is a mysterious tale about a group of fed up men who are vowing to take over the world in order to make the world a happier and more peaceful place to live. Meanwhile, the enchanting adventure rolls on with happiness continuing in the joyful track "The Entertainment Parade." This track features soulful vocal harmonies and floating pop rock melodies that sound like a merry-go-round is spinning around with children who are happily riding on it. This track is a lighthearted tale about a band who wants to lighten up life in a working class town by playing some great music so that people can dance the night away. Finally, the enchanting adventure ends with gloom hovering over people in the dreary track "Storm." This track features moaning vocal harmonies and eerie pop rock melodies that sound like a ghost is yowling in the darkness. This track is a haunting tale about how the peace and tranquility of the world is slowly being taken over by violence and hatred. Jim of Seattle is a great independent pop rock artist who sings colorful songs about how crazy our world has become. This artist's latest CD "Both The Planet Frank (Starring The Elders) and The Chet Lambert Show" will remind listeners that it is okay to make fun of ourselves once in a while so that we do not completely lose our minds. Is life an adventure? The answer to this question is, yes. Life is an unpredictable adventure according to an unsigned pop singer-songwriter out of Waukesha, Wisconsin named Derek Sallmann. This thoughtful pop singer-songwriter sings heartfelt songs about being afraid of failure, staying close to one's roots, and coping with a broken relationship while sounding similar to Counting Crows with his gritty vocals and rustic pop melodies that sound like children who are happily playing in a large pile of leaves on a crisp fall day. Derek Sallmann will release his debut CD "All Seasons" featuring ten soul stirring tracks that will tug at one's heart strings. The unpredictable adventure called life begins with uncertainty looming in the tension filled track "Afraid to Fall." This track features soulful vocals and fluttering pop melodies that sound like mourning doves are singing a sad song on a rainy day. This track is an anxiety ridden tale about a man who is a little bit of a perfectionist. The thoughtful man wants to put his best foot forward and is afraid to make mistakes. The thoughtful man is afraid that if he makes mistakes he will be made to feel like an outcast in society. Meanwhile, the unpredictable adventure called life continues with deep reflection occurring in the passionate track "Storm." This track features gritty vocals and rustic pop melodies that sound like a blizzard is about to occur. This track is a heart wrenching tale about a man who wants to come back home after a series of rough life experiences which happened outside of his comfort zone. The man is longing to spend some quality time with his family and friends. Finally, the unpredictable adventure called life ends under a blanket of clouds in the heartbreaking track "Broken by Words. This track features sorrowful vocals and weeping pop melodies that sound like a person's heart has been shattered into one million pieces. This track is a sad tale about a once loving couple who has deeply hurt one another's feelings by the painful words that they have said to each other. So now, the couple's broken relationship suffers in a cold silence. Derek Sallmann is a wonderful unsigned pop singer-songwriter who sings brutally honest songs about human emotion with soulful vocals and rustic pop melodies that sound like a group of people who are happily gathering around a campfire and making S'mores on a chilly fall evening. This artist's debut CD "All Seasons" will warm the hearts of pop music fans everywhere. A feeling of loneliness comes out of Seattle, Washington from an independent acoustic folk band named Tobias the Owl. This cool and breezy acoustic folk band sings heart wrenching songs about having to cope with heartache and feelings of extreme loneliness while sounding similar to The Moody Blues with their soulful vocals and dreary acoustic folk melodies that sound like trees are gently blowing in the wind during a brief summer rain shower. Tobias the Owl released their latest CD "Every Eye is a Universe" featuring eight sad tracks about a lonely person who is struggling to find happiness in his or her life. The unhappy journey begins with darkness looming in the sad track "Murmurs." This track features moaning vocals and gloomy acoustic folk melodies that sound like goblins are cackling inside of a troubled person's head. This track is an ominous tale about a man who is vividly describing how isolated he felt while in the dark as a child when he heard the strange noises that were coming from the ugly monsters that he saw at night. Meanwhile, sadness turns into happiness in the romantic track "Pretty." This track features soulful vocals and rustic acoustic folk melodies that sound like a warm fireplace is crackling inside of a cozy log cabin. This track is a heartwarming tale about a man who is telling his girlfriend how beautiful she is. The man feels like he is the luckiest person on earth. Finally, the unhappy journey ends with shadows of doubt hovering over an introverted person in the haunting track "Sleight of Hand." This track features sorrowful vocals and weeping acoustic folk melodies that sound like a child who is crying over a lost stuffed animal. This track is a heartbreaking tale about a man who wishes that he treated the people who were closest to him a lot better in the past. Now, the stubborn man realizes that his family and friends were only trying to help him become a more optimistic person so that he could be at peace with himself and the world around him. Tobias the Owl is an awesome independent acoustic folk band who sings heartfelt songs about having to struggle with loneliness and heartache with soulful vocals and fluttering acoustic folk melodies that will make a person feel like they are wrapped in a warm blanket. The band's latest CD "Every Eye is a Universe" will remind listeners that life will be what a person makes of it. A person's life will have either a positive, or a negative outcome. A long strange trip begins in Columbus, Ohio with an unsigned alternative punk quartet named Earwig. This space driven alternative punk quartet sings eerie songs about a crumbling romance, finding a new romance, and being able to find hope when one feels hopeless. Earwig sounds similar to The Cure with their groaning vocals and slithering alternative punk melodies that sound like a snake is slowly crawling through the tall weeds in the dark forest at night. Earwig will release their latest CD "Pause for the Jets" featuring twelve chilling tracks that will make listeners have nightmares for weeks after listening to this ominous collection of music. The nightmare begins with sadness looming in the depressing track "Lover's Chords." This track features sorrowful vocals and grinding alternative punk melodies that sound like a steamroller is rolling over hot blacktop on a humid summer day. This track is a heartbreaking tale about a once loving couple who is no longer getting along because the angry couple is too busy trying to pick out one another's faults rather than attempting to repair their broken relationship. Meanwhile, the nightmare continues with a glimmer of hope shining through in the mysterious track "Silverheels." This track features gritty vocals and spooky alternative punk melodies that sound like Marvin Martian is laughing at all of the hopeless earthlings. This track is a passionate tale about a man who wants to escape the rat race called the real world by flying to another planet with his rocket propelled boots on while holding onto a beautiful woman. The nightmare ends with a sense of peace hovering around a troubled person in the soothing track "Holy Ghost Letter." This track features eerie vocals and weeping alternative punk melodies that sound like a lonely man who is sitting alone in a dark room and sobbing uncontrollably because the man feels lost. This track is a reflective tale about a troubled man who asked God for help so that he could feel better about himself. Now, after asking God for help the troubled man no longer feels isolated from the world. Earwig is a fantastic unsigned alternative punk quartet who sings outlandish songs about the trials and tribulations of daily life and how human beings choose to cope with them. The quartet's latest CD "Pause for the Jets" will remind listeners not to fear the unknown, but to expect the unexpected because life is full of joys and sorrows. A state of confusion is coming out of Venice Beach, California from an unsigned reggae-fusion sextet named Spiritual Rez. This sizzling sextet sings haunting songs about how life can become complicated and one does not understand why. Spiritual Rez sounds similar to 311 with their soulful vocals and scorching reggae-fusion melodies that will surely liven up a dull party on the beach in the middle of the summer. Spiritual Rez will release their fourth CD "Setting in the West" featuring ten heart wrenching tracks that will bring out the tension filled melodrama that is being played throughout this collection of music. The melodrama begins with severe anxiety looming in the heartbreaking track "Together Always." This track features soulful vocals and sultry reggae-fusion melodies that sound like a large pot of water is boiling on the stove. This track is an agonizing tale about a once loving couple who is in a tumultuous relationship. However, the hard headed couple is vowing to stay together despite one another's faults. Meanwhile, the melodrama continues with loneliness hovering over a troubled person in the sad track "Tidal Wave." This track features moaning vocals and gurgling reggae-fusion melodies that sound like a Great White Shark is lurking below the ocean surface and getting ready to cause havoc. This track is a depressing tale about a man whose life appears to be falling apart due to his past mistakes. However, the stubborn man refuses to change his ways and is continuing to drown in his own sorrow. Finally, the melodrama ends with a reality check occurring in the thoughtful track "Digital Age." This track features raspy vocals and icy reggae-fusion melodies that sound like an Amtrak train is speeding down the heavy steel tracks. This track is a reflective tale about how humanity must lean to adapt to the information age in a fast paced world or get left behind. Spiritual Rez is a great unsigned reggae-fusion sextet who sings sizzling songs about trying to stay afloat in a complicated world. This sextet's fourth CD "Setting in the West" will remind listeners that one must learn to go with the flow in order to survive in a fast paced world. Is the world a large and violent place? The answer to this question is both yes, and no depending on how one chooses to examine this question. This question is being carefully examined by a refreshingly ear opening psych-pop duo out of Sacramento, California named Allyson Seconds. This brilliant independent psych-pop duo sings passionate and sometimes eerie songs about how fragile the world truly is and how short time can seem when one is in a beautiful place with someone they love. Allyson Seconds sounds similar to The Bengals with their soft, silky vocals and crisp psych-pop melodies that sound like a brisk breeze is blowing through a person's hair on an early fall day. Allyson Seconds will release their latest CD "Little World" featuring eleven thoughtful and calming tracks that will ease one's mind on a hectic day. The insightful adventure begins with a sense of hope coming out in the calming track "Little World." This track features soulful vocals and groovy psych-pop melodies that sound like a group of minstrels who are happily frolicking through the woods and playing music. This track is a colorful tale about how beautiful and small the world seems to be through an inquisitive person's eyes. One must stop and smell the roses for a little while. Meanwhile, the insightful adventure continues love hanging in the air in the romantic track "Summer of Gold." This track features sultry vocals and Squawking psych-pop melodies that sound like seagulls are hovering around beach goers and are anxiously awaiting food. This track is a heartwarming tale about a woman who is enjoying a warm summer on the beach with the man of her dreams. Finally, the insightful adventure ends with a high degree of concern looming in the anxiety ridden track "Burning Burning." This track features weeping vocals and rustic psych-pop melodies that sound like trees are fiercely burning in the woods. This track is an ominous tale about a woman who witnessed the wildfires in California. The frightened woman watched in horror as th e beautiful countryside was scorched by Mother Nature's fury. Allyson Seconds is a fantastic independent psych-pop duo who sings mind blowing songs about the simplicity of Planet Earth and how Mother Nature can go from serene to violent in a split second. The duo's latest CD "Little World" will remind listeners that the world can be both a peaceful and violent place to live in. A gift sent from heaven is pouring out of the United Kingdom. This heavenly gift is called The Divine Comedy which comes from an alternative pop solo artist named Neil Hannon. The Divine Comedy sings passionate and fun loving alternative pop songs about attempting to live a peaceful life while living in a fast paced world while sounding similar to The Boomtown Rats with his soulful vocals and floating alternative pop melodies that sound like the circus is in town. The Divine Comedy released his latest CD "Foreverland" featuring twelve heart warming tracks that will make listeners want to forget their problems and act like children for just a little while. The heavenly journey begins with a feeling of hope coming out in the stern track "The Pact." This track features soulful vocals and fluttering alternative pop melodies that sound like two angry birds are fighting over a worm on a rainy day. This track is a reflective tale about an irritated man who is tired of being treated like an outcast in society. So, the irritated man is vowing to take over the world in order for people to live peaceful lives without being ridiculed on a daily basis. Meanwhile, the heavenly journey continues with a sense of peace shining through in the calming track "My Happy Place." This track features raspy vocals and silky, smooth alternative pop melodies that sound like freshly brewed coffee is being poured into a cup on a beautiful sunny morning. This track is a soothing tale about a man who goes his quiet place that makes him feel good when he needs to get away from the rat race called the real world. Finally, the heavenly journey ends with unbelievable happiness coming out in the loving track "The One Who Loves You." This track features gritty vocals and groovy alternative pop melodies that sound like a couple who is happily dancing to some sweet music. This track is a romantic tale about a man who has finally found a woman who truly loves him. The happy man believes that he will be satisfied for the rest of his life with no regrets. The Divine Comedy is a wonderful independent alternative pop project that has been created by the British solo artist named Neil Hannon. This brilliant artist sings fun loving alternative pop songs about trying to heal an ailing world. The Divine Comedy's latest CD "Foreverland" will make one's soul smile on a rotten day.